This was Kahlil’s favorite position 🙂 Take him for a walk, tire him out playing frisbee, and he’d be ready to kick back and snooze in the house. I’ve been out of pocket for a few weeks, extremely distracted and disinterested in anything related to writing. 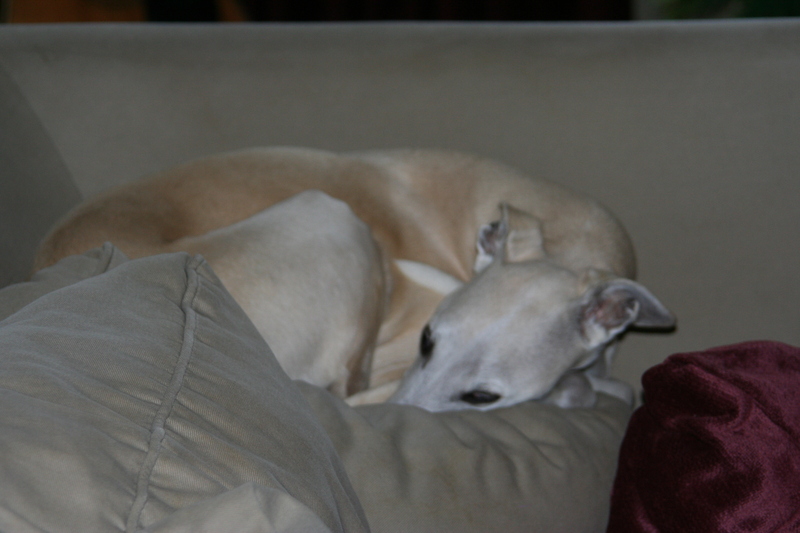 We had to put down our sweet whippet pup, Kahlil, on Thursday, June 13. He was 14 years old and the last of his litter of six to pass. He had been quite ill for a couple of weeks with some type of infection, and his heart (he had a heart murmur for five years) just couldn’t take it anymore. These weeks have been incredibly hard and stressful. Now we are trying to find the resiliency to deal with our loss. He was our only pet, so the house is so empty and quiet without him. He was the center of our world. Some people may roll their eyes and say “he was just a dog,” but I don’t care. He was our faithful companion, a good runner and walker all these years, always waiting at the window for us to come home. All that matters is how we feel, not what others may think of us at this time. This grief is different than what I have felt with grief at the loss of a person. I cannot compare the two. But it has been a long, long time that I have felt this sad after a death, so long that I almost cannot even remember. I want to be happy, because life goes on and there are so many things to be happy about right now. At this particular moment, it’s a beautiful summer evening in Minnesota—people are finally outside enjoying fresh air and the freedom that comes with summer. But even that has a dark cloud over it. I pray for signs—signs that we will be OK, signs that we did the right thing, signs that my beloved dog is at peace. And I’m getting them. People are kind. Jenn at the Coffee Hag gave me a huge, supportive, strong, sympathetic hug, and a free drink 🙂 I ran into my yoga teacher, Mel, and I could feel her healing energy spread to me. I was meant to see these people today, especially since today was a darker day. We got a thoughtful card from my cousin, someone who understands what it’s like to lose a dear pet. One of the first things I did after Kahlil died was to return to The Prophet, written by Kahlil Gibran, our dog’s namesake. 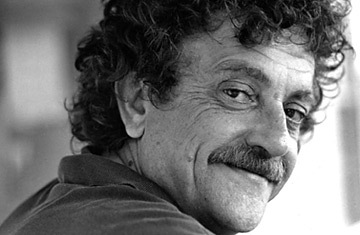 I also think it’s no coincidence that the last book I read before Kahlil died was a re-read of Kurt Vonnegut’s Slaughterhouse Five. After every mention of death, he would write his famous line: So it goes. Indeed, Mr. Vonnegut. So it goes. What a great journey he had, in a long life. He did have a long life; we are so grateful to have had that. My condolences, Rachael. Losing a dog is such keen pain. The only cure, as they say, is to get another, though I admit I waited for a couple years after losing our previous dog. They share our emotional lives, are emotional beings themselves, and inspire by living in the present, without ego or grudges. The grief that losing them produces may be different in degree from losing a person but it’s not different in kind. Wise words, Richard. Thank you for this. The house is so empty and it’s tempting to get some kind of pet right away (it’s been more than three years since we’ve had a cat and I do miss the presence of a kitty). It’s hard to wait on a dog, but I think it honors Kahlil’s memory by waiting a bit. There will be another whippet litter due in the fall and we hope to get a puppy from that litter. It’s something to look forward to. Our dogs are definitely part of our family, capable of genuine unconditional love. So very sorry to hear of your loss, Rachael. Thanks for the kind words, Sarah. You don’t come across much unconditional love in this world except in the form of pets. Such a beautiful and sad post. I feel your pain. Every moment in my house made me miss my dog–I miss him still and it’s been four years. Sometimes I’ll come upon a photo of him and suddenly cry. I don’t know of any reason why this wouldn’t be a profound loss–you love him and lived with him for fourteen years. All dogs leave too soon. I’m so sorry for you. Sheila, thank you. You’re right–dogs leave much too soon. The longer they are with you, the more there is to miss. We feel so blessed to have had Kahlil with us for 14 years. He was the best little dog, much loved. I wasn’t much of a dog person until we got Kahlil. In fact, I was afraid of dogs growing up–I mean genuinely terrified of them. I never thought I would have a dog. But I wanted a companion to go running with me, and my life has been richly blessed by having that whippet. I am so sorry for your loss, Rachael. My heart and thoughts go out to you. Kahlil sounds like a sweetheart. Be gentle with yourself during the grieving process. Hi Kella–thank you for your thoughts. I am taking it easy and letting myself experience all my feelings, even when they are painful. I am glad that some good memories have come back to me in the past few days. When Ginger’s kitty, Koshka, was dying of cancer, he held on until she returned from a Texas visit that she was unable to postpone. I sensed his longing for her, as he cried to go out into the rain and waded in water puddles to cool himself, and drank a little broth from Chicken Noodle Soup. Not knowing what more I could offer for comfort, I set a large framed photo of her by his favorite resting place, and he snuggled against it until her return, when they could share their final good-byes. That’s really something, Darlene. Poor little Koshka. I’m glad he could hang in there until Ginger returned. It’s neat that he laid next to her picture. Losing Jack was the strangest type of mourning, but there was something peaceful about his death. We brought him to the vet when it was clear he needed to leave this world. I’ve never been able to hold someone who was dying. We kept Wendy’s sweatshirt by his nose so he could smell her. Joe and I got to hold him and pet him until he was gone. Then we wept. Oh, lovely Jack! He was such a good dog. Except for the underwear thing 🙂 This has definitely been the hardest couple of weeks of my life. i am so sorry for your loss. i cannot imagine the pain that you are going through right now. i have six myself and i just know that i will not be able to take the pain of losing them when their time comes.. I would sometimes wonder how I would deal with Kahlil’s death while he was still around and it frightened me. But it’s like with any loss–once it happens, you deal with it. Sometimes you end up surprising yourself and you find strength that you didn’t know you had. I can’t imagine anyone saying anything so heartless – clearly not someone who understands the depth of the love we have for our dogs. My heart aches for you Rachael because our pets ARE as much of a part of our families as the humans are. It’s a different relationship but they aren’t meant to be put on a sliding scale of grief. Dogs will lay down their lives for their owners. They provide infinite love, devotion, and loyalty to us. When we lost one of our pets 2 years ago, I remember telling my children that the immense grief they feel is directly tied to the love they shared with him. To not feel such grief means you haven’t experienced such love. If you want to experience that love, you have to accept the grief. It’s part of our existence. Not particularly pleasant, but when the acute grieving phase is over, you will have mountains of memories to draw strength and smiles from. He wasn’t just a dog – he was your Kahlil. Thanks so much, Maggie. 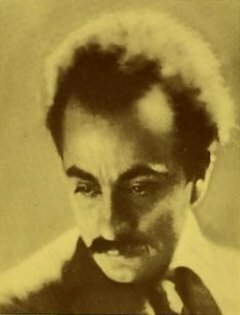 It’s so true what Kahlil Gibran wrote–joy and sadness are closely tied together. If we want to feel joy in our lives, we have to accept that at some point we will feel sadness, too. I added your blog to my reader after a comment you left somewhere else not long ago–and I don’t off the top of my head remember where that was–and this, alas, is the first new post I’ve received. I’m very sorry for your loss. Kahlil was a beautiful dog and, no doubt, a good companion. It’s good to read that you’ve found some support and understanding in both persons you know and words you treasure, as you also treasure the memory of your beloved pet. Thank you so much for the kind words. They really help at a time like this. I totally agree. I wouldn’t want to even deal with someone who would say that, because I know there are plenty of other people who know how we feel.